Do you have a bad attitude? It’s normal to be negative once in a while. If you’re a glass-half-empty type of person every day, though, it may be increasing the amount of pain you feel. According to results from a previous study, people with chronic pain who think positive thoughts are more likely to sleep better and feel less pain in their daily lives. The study examined 214 people with chronic jaw or face pain that is often linked to stress. All participants were females with an average age of 34. After filling out questionnaires on their own sleep quality, depression, pain levels and emotional responses, researchers were able to correlate the participants’ negative thinking with both poor sleep and worse pain. The results of the study are significant because they show the impact the mind can have on the body’s physical pain levels. 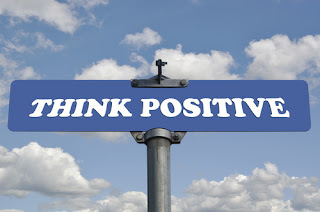 Something as simple as thinking positive thoughts can play a role in decreasing your chronic back or neck pain throughout your daily life. “It may sound simple, but you can change the way you feel by changing the way you think,” said Buenaver. If you’re at your limit and can’t deal with back or neck pain any longer, contact a specialist at Capstone to see if you’re a qualified candidate for our pain treatments. Don’t live with pain one more minute. Get in touch with us today. This page is very informative and fun to read if you want more information something like visit chiropractor tampa get more details. Thanks for sharing this amazing article and i think you know about lucky patcher by chelpus and i think it works like a charm. PLease post more article like this and i will visit here again. Looking for Quick Pain-Relief Tricks?